When Saidur Rahman learned last month that his 2010 review paper about nanoparticles in refrigeration systems had been retracted, he was concerned—no one at the journal had told him it was going to be pulled. Rahman, a professor of engineering at Sunway University in Selangor, Malaysia, had recently corrected his 2010 review in Renewable and Sustainable Energy Reviews—specifically, in January, the journal published a two-page correction rewriting the parts of the paper that were “appear close to some materials we had included in some of our other review research.” But Rahman was not anticipating a retraction. When he saw the notice, published February 9, he immediately wrote to Elsevier, which publishes the journal, to clarify the situation. the person mixed up two separate cases in the same journal, which is something that occurs very rarely. Instead, the journal was supposed to retract a 2015 paper about solar hydrogen hybrid energy systems, which had plagiarized another paper. The publisher deeply regrets that a technical issue occurred which led to the entirely erroneous publication of this notice. This error bears no reflection whatsoever on the article or its authors. 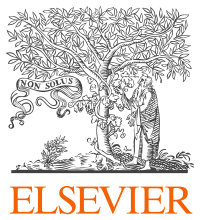 In early March, Elsevier replaced the temporary notice with the intended retraction of the 2015 paper on solar hydrogen hybrid energy. The paper, “A review on the performance of nanoparticles suspended with refrigerants and lubricating oils in refrigeration systems,” has been cited 88 times, according to Clarivate Analytics’ Web of Science. it can be easily checked that the notice is incorrect since [the paper mentioned in the notice has] no relation with the content of my paper. Like Retraction Watch? You can make a tax-deductible contribution to support our growth, follow us on Twitter, like us on Facebook, add us to your RSS reader, sign up on for an email every time there’s a new post (look for the “Follow” button on the lower right of your screen), or subscribe to our daily digest. If you find a retraction that’s not in our database, you can let us know here. For comments or feedback, email us at team@retractionwatch.com. Huh. In 2016, I wrote to Renewable and Sustainable Energy Reviews alerting them to plagiarism in a paper called “A review of solar based hydrogen production methods”. They retracted it. Now RW reports that RSER want to retract a different paper on solar hydrogen (for plagiarism), but they accidentally retracted a third paper, which was only meant to be corrected (for plagiarism). Could there be a plagiarism problem at RSER…?